Crick was born on June 8, 1916, in Northampton, England. He interrupted his doctoral work in physics to develop mine technology during World War II. Thereafter he focused on biology and in 1949 became involved in efforts to determine the structure of large molecules using X­ray crystallography at the Cavendish Laboratories of Cambridge University. Watson, born on April 6, 1928, in Chicago, Illinois, entered the University of Chicago at age 15; he graduated with a degree in zoology after four years. He received a Ph.D. from Indiana University in 1950 and proceeded to Copenhagen to study bacterial metabolism. 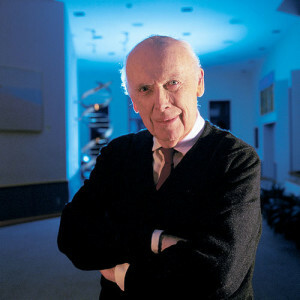 Convinced that genetics could be fully understood only after the molecular structure of DNA had been described in detail, he joined Crick at the Cavendish Laboratories in 1951. When Crick and Watson began collaborating, it was known that genes, organized into DNA molecules, carry hereditary information. The basic units of DNA had also been identified: nucleotides, each containing a phosphate, a sugar, and one of the four nitrogen bases—cytosine, guanine, adenine, and thymine. Crick and Watson combined biochemical evidence and physical clues from molecular models and X­ray diffraction images (created by ROSALIND FRANKLIN and Maurice Wilkins) to determine the three ­dimensional structure of the DNA molecule: two sugar ­phosphate strands twisted into a double helix and linked by bonds between complementary bases (adenine and thymine; cytosine and guanine). They announced this discovery in 1953. 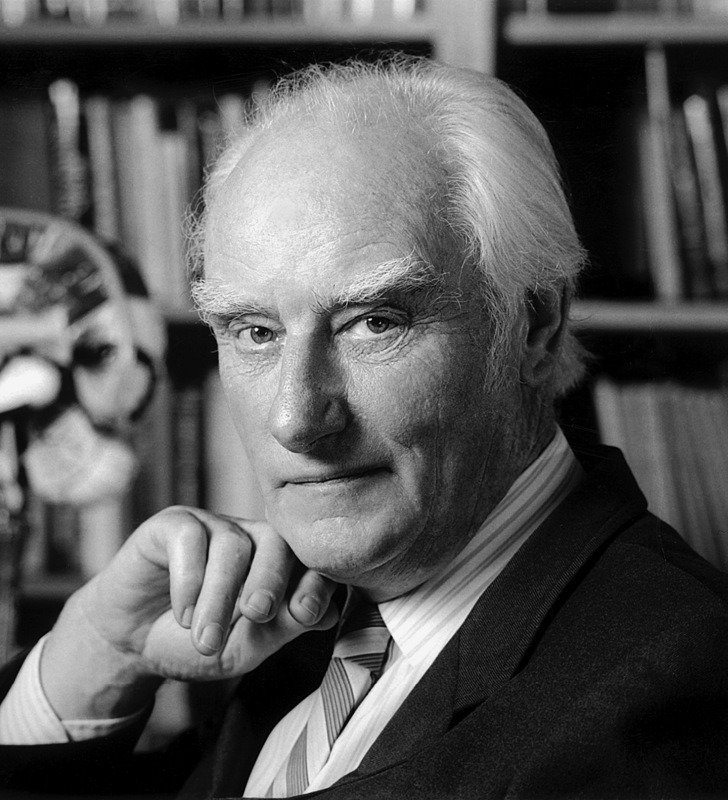 In 1961 Crick helped show that the sequence of nucleotides in DNA represents a three­part code that designates the sequence of amino adds in proteins. In 1977 he became professor at the Salk Institute for Biological Studies, and in the 1980s and 1990s he proposed theories concerning the origin of life on Earth and the nature of consciousness. In 1955 Watson joined the faculty of Harvard University and in 1968 became director of the Cold Spring Harbor Laboratory of Quantitative Biology on Long Island, New York. In 1988 he began coordinating the Human Genome Research project, a plan to map the sequence of all human genes; he resigned in 1993 in opposition to the government’s plan to patent genetic information gleaned from the project. Watson and Crick’s description of the structure of DNA overcame a major hurdle in the development of biological science and laid the groundwork for modern molecular genetics. The model of DNA structure proposed by Crick and Watson suggested a mechanism for the construction of new DNA within the cell. Confirmed experimentally in 1958 by Matthew Meselson and Franklin Stahl, DNA replication involves the uncoiling of the two strands of a DNA helix, which each then serve as a template for the synthesis of a new DNA strand. The next step was to determine how DNA directs the production of proteins. Over the next few years researchers found that DNA is first transcribed into messenger ribonucleic add (mRNA), and that mRNA is translated into the sequence of amino adds in a protein. Crick had shown by 1961 that translation involves a nucleotide code. In the mid­1960s Marshal Nirenberg and Severo Ochoa, working independently, cracked the code and demonstrated which nucleotide triplets designate which amino acids. Molecular biology has continued to be a productive area of research. The discovery of methods to determine the base sequence of DNA molecules in the 1970s initiated the era of recombinant DNA technology, separating genes and recombining them with genes from original donors or others. This technology has had profound implications in all areas of biological research, as well as in medicine, pharmaceuticals, and agriculture. Advances include DNA sequencing, DNA fingerprinting, DNA cloning, the search for genetic causes of diseases, gene therapy, genetic engineering of plants and animals, and the Human Genome Project (in which researchers are determining the blueprint of the complete human genome). Scientists are also conducting an enormous variety of pure research aimed at understanding the complexity of genetics, the origin of life, and the details of evolution. The implications of these advances are profound, as was seen in 1996 when a team of British scientists led by Ian Wilmut cloned an adult sheep using DNA from one of its organs; the result was the now­ famous ewe called Dolly. Both excitement and controversy erupted over the possible positive applications of cloning (for example, cloning of top ­quality livestock and regenerating endangered species) and the potential misuse of cloning if developed for humans.